Here’s an example of an idea that comes from a solid brief. I can see it now. Key insight: people are unaware of our brand and people have a hard time saving money for a vacations. Where else do you end up with the pitch, “so you want to sell tickets? How about you sell beans”. Love it. 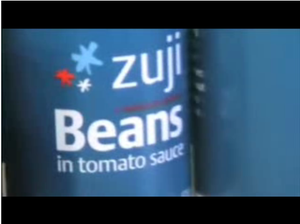 Happy Soldiers, Sydney created more than just an ad campaign for Zuji, a Travelocity company operating in Asian markets. They created a big platform idea. Probably well beyond the allocated budget. But you know what? If the idea is big enough money has a way of supporting it.